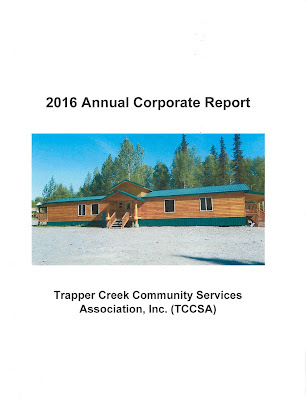 Trapper Creek Community Services Association, Inc is pleased to announce the publication of it's 2016 Annual Corporate Report. PO Box 13049, Trapper Creek, AK. 99683.